What is the AirVenture Cup? 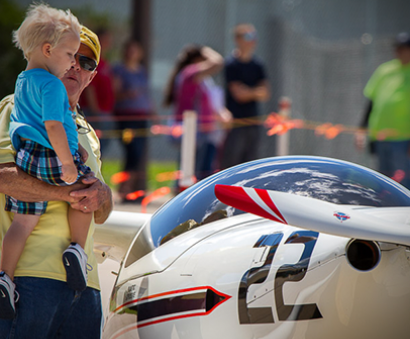 The AVC has become a highly visible component of EAA AirVenture Oshkosh, and embodies the resourcefulness, inclusiveness, and volunteer spirit that are the hallmarks of both the Experimental Aircraft Association and AirVenture Oshkosh. Keith Phillips, flight lead, has raced in the last 15 AirVenture Cup Races. Nearly the entire world fleet of SX-300s has raced with us. They now have their own class, the Sport-SX class. Founded in 1997 by Eric Whyte and Erik Andersen, the AirVenture Cup Race replicates the excitement of the Bendix Trophy Races of the 1930s. The first AirVenture Cup was held in 1997 from aviation’s birthplace at Kitty Hawk, North Carolina to Oshkosh, Wisconsin, and featured ten homebuilt aircraft in three racing classes. Later years changed to a two-day format with a stopover in Dayton, Ohio, and then a single-day race of 400-500 miles across an annually selected course. Today the AVC has expanded to 19 classes based on aircraft power and configuration, including several classes for certified aircraft. Participation has burgeoned as well, often exceeding 75 racers flying everything from stock J-3 Cubs to 350-mph Thunder Mustangs. 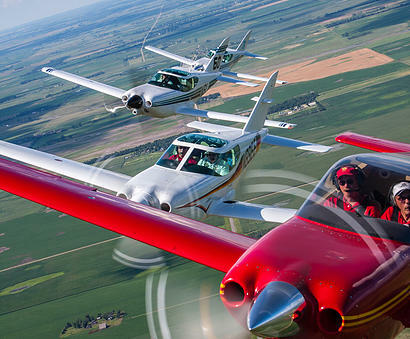 Many well-known EAA members make the AVC an essential part of their annual pilgrimage to Oshkosh; for several it has become a family tradition with multiple husband-wife and father-son teams participating.